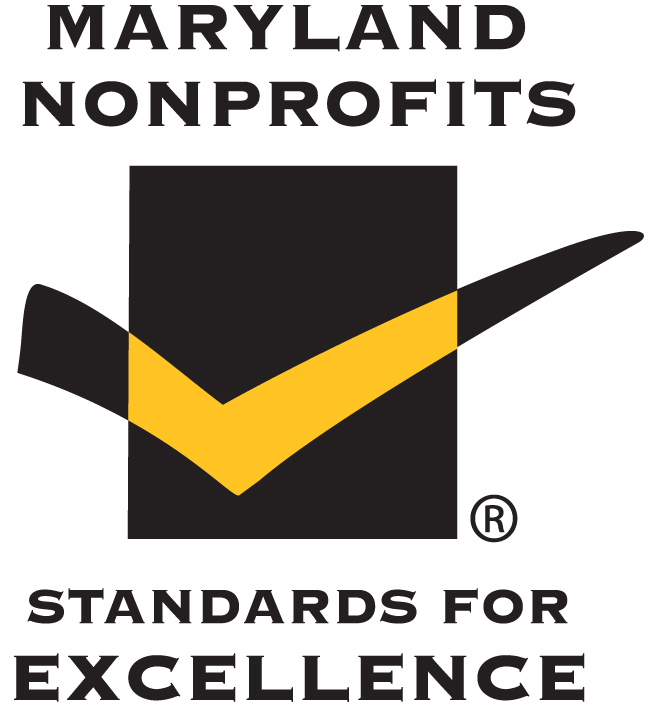 Each day, The Arc Montgomery County directly supports over 500 children, youth, adults and families by providing child care, work skills training, employment opportunities, community living services, resources, advocacy and respite care. Click on any picture below to learn more about some of the people we support. Beth works a demanding job and says The Arc has always been there for her family. “We have boys—so we don’t panic when the nurses call about bumps and bruises. 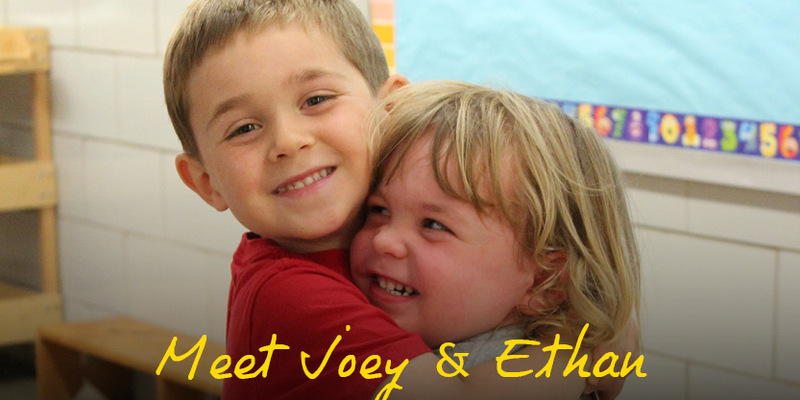 But it’s great to know they are watching out for our children.” Beyond day-to-day interactions, the staff advocated for Joey to receive speech therapy in his classroom. “We trusted the staff when they recommended him for an evaluation. And we appreciated them even more when they wouldn’t let go until they secured an IEP for him in kindergarten.” Beth feels her boys are academically well-prepared for the next stage of their life, and she credits KFICCC for accommodating their needs. Click here to learn more about fully-inclusive child care. What makes a good employee? Knowledge? Skills? Positive attitude? All of these? Whatever it is, Donald Johnson has it. He’s been working at Ben Lewis Plumbing in Clarksburg for almost three years, as part of a contract between Ben Lewis and The Arc Montgomery County to employ people with disabilities. Donald was one of the first people selected to apply for his position and he was offered the job after passing a skills test. Donald helps to load and organize 76 trailers filled with plumbing supplies and equipment. Each day, he fulfills parts orders for outgoing jobs and re-sorts unused parts which come back on the trucks. He’s also grown into a peer leader, helping to guide other members of his team. But the thing Donald likes best (in addition to the paycheck, of course!) is the relationship he has with his co-workers. “Just like everyone else, I get a turkey at Thanksgiving and get to have fun at the holiday party.” And just like everyone else, he is held accountable for his work and praised for a job well done. Donald’s just one of the guys working the yard site, and he thinks that’s perfect. Click here to learn more about employment support. In 2013, Mary Madison was featured in a story about The Arc Montgomery County’s residential services. Shortly afterward, her support staff received a phone call and the gentleman on the other end said he was Mary’s brother. After some fact checking, Mary’s team learned that she did indeed have an older brother, and he was living in Virginia! Joe had seen Mary’s picture on The Arc’s website and immediately reached out. 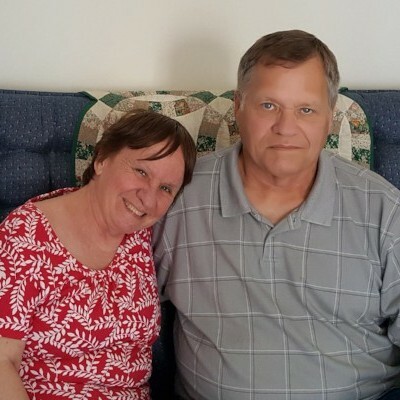 He and Mary had been placed into foster care when Mary was about four years old, and communications were cut with their family and with each other. Joe eventually served in the Navy and raised his own family, but all the time he wondered about Mary. Periodically, he would search the internet to see if he could locate her, and then one day, her picture popped up. 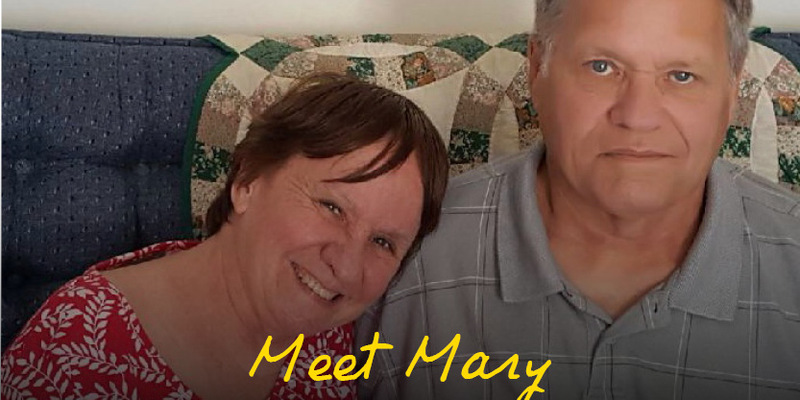 Mary’s staff invited Joe to come visit Mary and gradually helped them get reacquainted. The siblings have rekindled their relationship, and Mary relishes the time she spends with Joe and his family. They talk often, with Joe visiting when he can and Mary’s staff occasionally taking her to Virginia to see Joe. For both of them, the family connection is now stronger than ever. 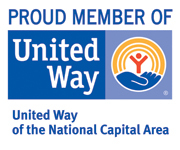 Click here to learn more about community living support. Three years ago Jason Ordona was living at home with his parents. Anxious to be more independent, he started breaking down barriers by learning to travel around town on the bus and on his bicycle. 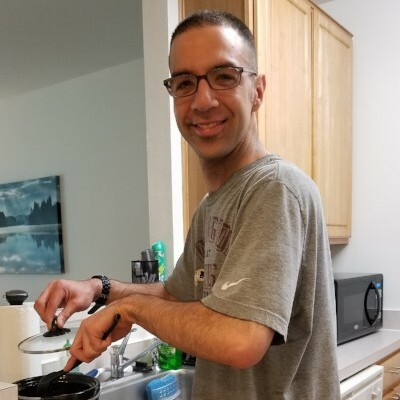 With support from The Arc’s staff, Jason expanded his knowledge and skills, eventually moving out of his parents’ home and into an apartment with two roommates. But even all of these successes weren’t good enough for Jason; he wanted to live on his own. Last year The Arc team helped Jason move into his own apartment. 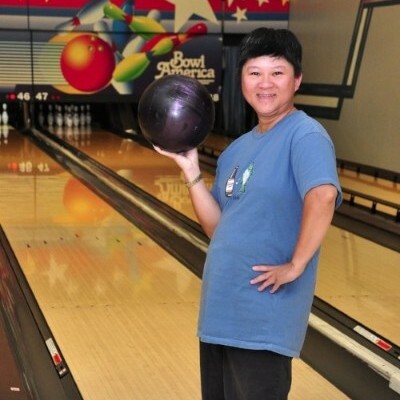 He got a job at Wegmans and joins his coworkers after hours for bowling and miniature golf. “I’m a food lover. I love to cook and to try new recipes in my own kitchen.” He also loves that he no longer has to share his food or clean up after other people! 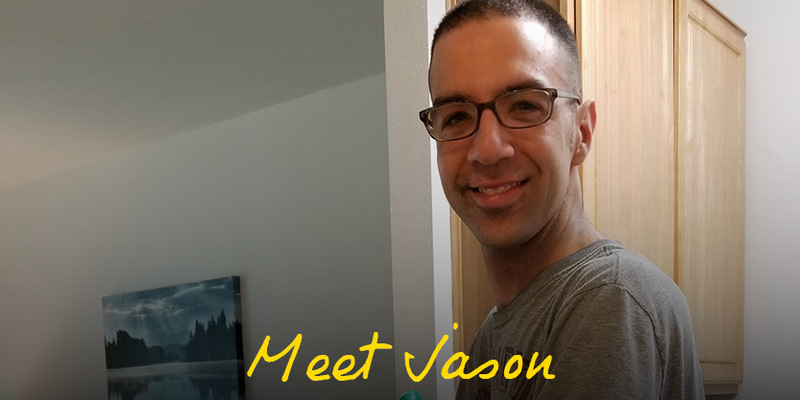 Jason spent quite a bit of time with his staff learning not only how to keep his new place tidy, but also how to maintain personal relationships and how to be safe in the community. For him, true independence is no longer a dream, but a reality. As a high school sophomore, Jillian is busy. She spends all day in class, then heads to After All where she can enjoy some down time and engage with her peers. She and her friends might play a quick game on the soccer field, cook up some snacks, or check their social media accounts. Click here for more information about support for youth ages 11-21. 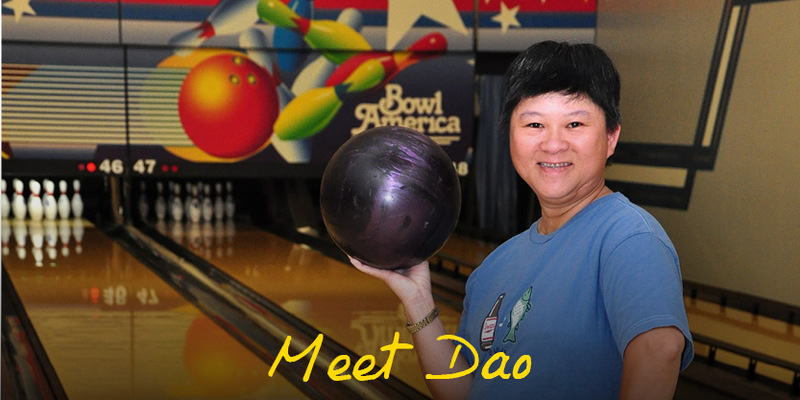 In addition to working part-time, Dao enjoys activities like bowling with friends. Her support counselors are teaching her to cook and complete other household tasks, looking ahead to the time when Dao will live independently. They are also helping her to build a community support network. Click here for more information about customized, in-home and person-centered support.